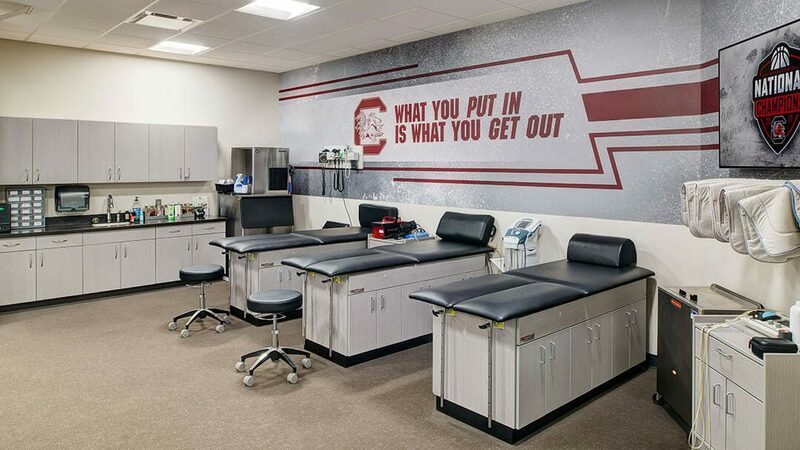 The project for the University of South Carolina focused on the renovation of the 30,000 square feet of existing space on the ground level of the 1960s-era arena, known as the Carolina Coliseum, for the Men’s and Women’s Basketball and Women’s Volleyball programs. The project footprint encompassed spaces in various conditions, from locker and team spaces upgraded in the past ten years, to greenrooms and shower areas for visiting acts that remained unchanged from the original building plan. A large portion of the affected area included the “Elephant Room” where various animals and hay were once housed when the circus came to town, and where scores of high school graduating classes throughout the years had gathered before walking the stage. 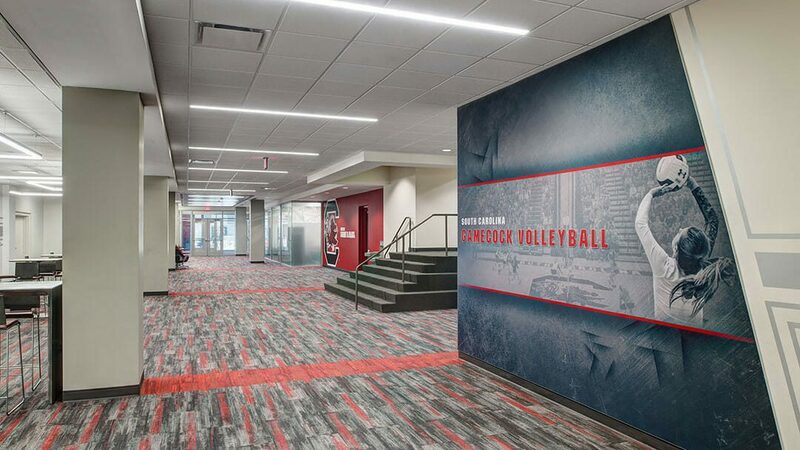 Programmed renovations included the creation of a new Men’s Basketball office suite, the reconfiguration of the Women’s Basketball locker room, lounge areas, and restrooms/showers, and the addition of a Volleyball training room and office. 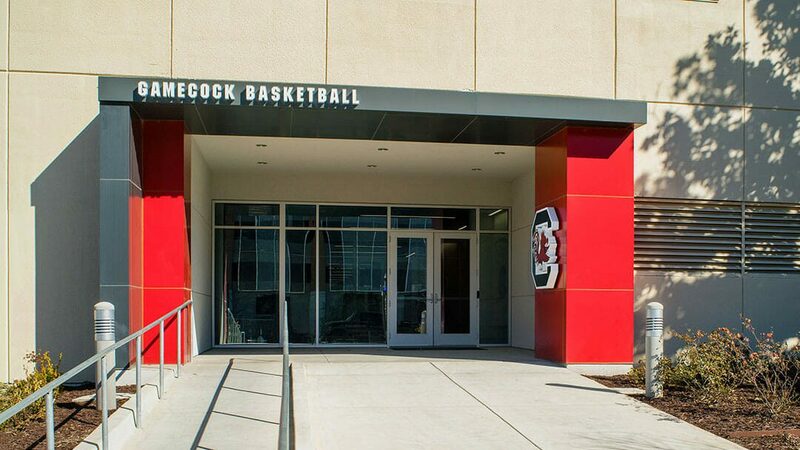 New shared spaces included Men’s and Women’s Training Rooms and offices, Hydrotherapy, and Rehab rooms with direct access to practice courts. 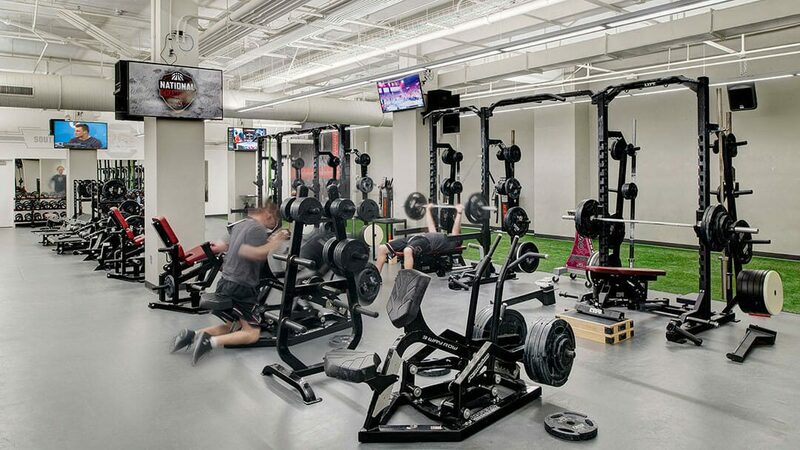 Additionally, a new 3,500 square-foot Weight/Cardio Room and strength training offices were incorporated for use by all three programs. 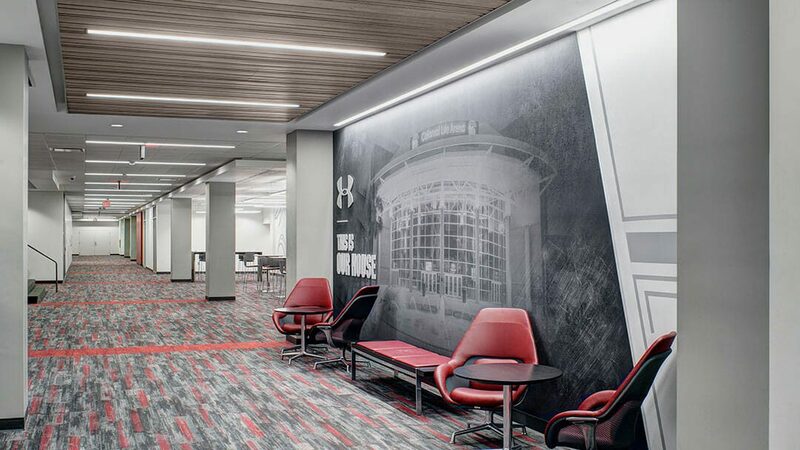 The exterior entrance was also completely re-envisioned utilizing storefront and an aluminum-composite panel canopy to introduce natural daylight to the interior concourse while re-branding this new facility for USC Athletics.